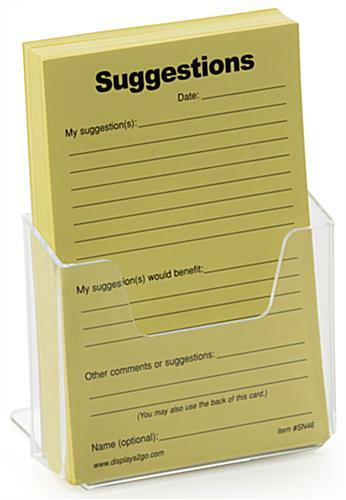 Short 4.1" Wide Pocket for Comment Cards. 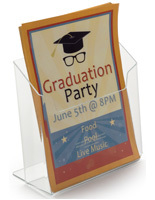 Plastic Construction is Durable & Lightweight. 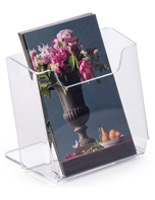 Rear of Container has Lip for Steadying Purposes. 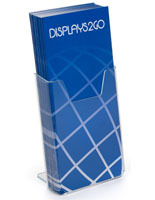 The acrylic booklet holder for counters is set at an ideal height for easy viewing by customers or clients. 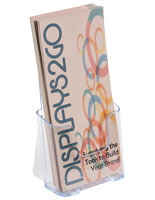 The desktop display is made of durable plastic to help it last and last in busy locations. 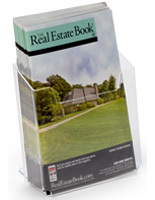 The booklet holder with a single pocket it perfect for businesses that only need to distribute a small amount of information to customers. 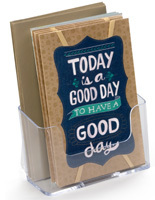 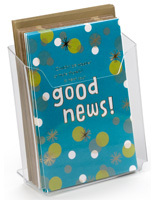 The plastic display is able to hold survey cards that measure 4” x 6” to be used by customers. 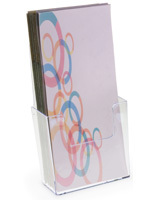 The holder is clear so customers see everything that’s presented and a notched front provides easy access. 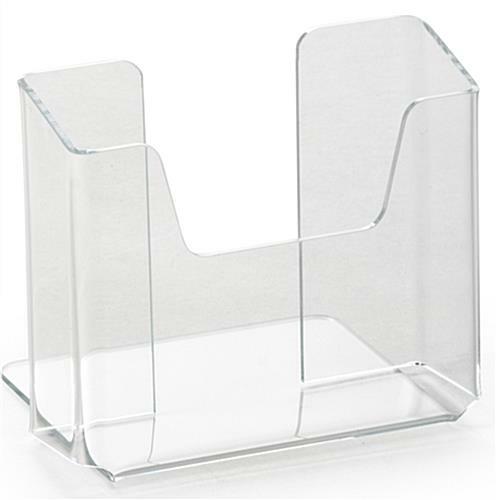 There is a lip on the back of the single pocket dispenser that helps it to say upright on desktops and remain steady wherever it is placed.